Sharron Weber "2013 Woman of the Year"
When you purchase your first surfboard from a reigning U.S. Champion, only good things can follow. This was the case when a 15-year-old Sharron Weber moved to Oahu from Virginia in 1963. Weber scooped up a used board from Linda Benson and set out on her own competitive quest. 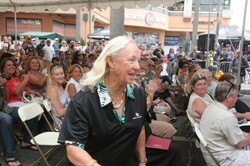 Weber earned six Hawaii state titles during the late ’60s, finished runner-up to Margo Godfrey in the 1968 World Surfing Championships and won the U.S. titles in 1969 before taking two World Championships in 1970 and 1972. Her first came in Victoria, Australia and her second in San Diego. 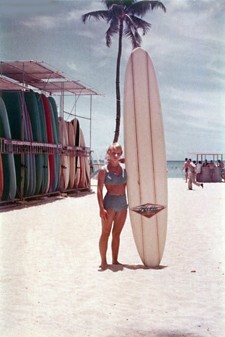 Despite all her accolades, Weber was never profiled in any of the surf magazines of that era. 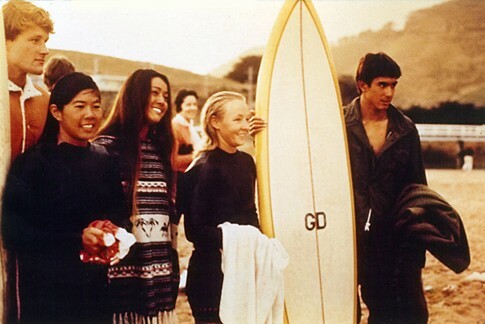 PHOTO: World Contest Australia 1970 (L to R) Randy Rarick, Martha Sunn, Rell Sunn, Sharron Weber and Keoni Downing. PHOTO: Shooting the Huntington Beach Pier, 1969. 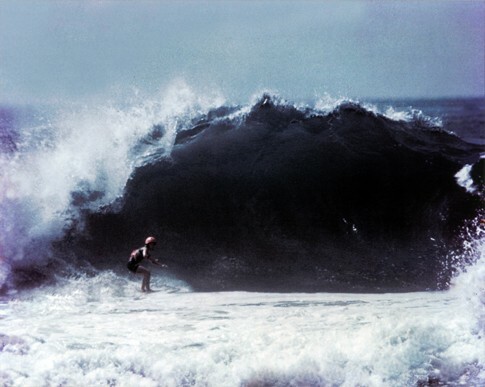 PHOTO: Sharron recent surf session at Namotu. PHOTO: Sharron Weber, circa '70's. 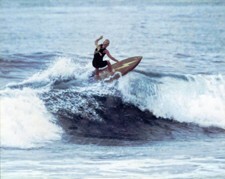 In 1973, Weber cancelled a trip to South Africa to compete due to the country’s apartheid policy and the government’s opposition to her “dark-skinned” Hawaiian teammates. 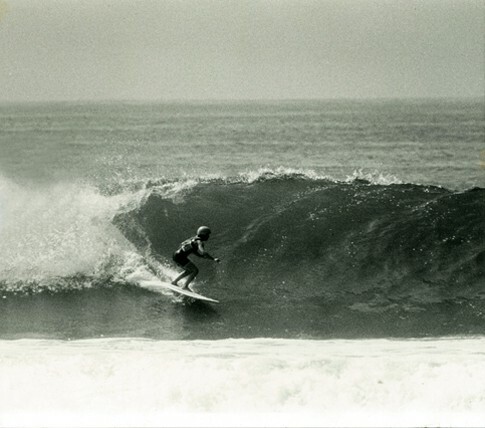 Less than a year later, after a somewhat short-lived competitive career, Weber retired from professional surfing and opened a tire business on Kauai. 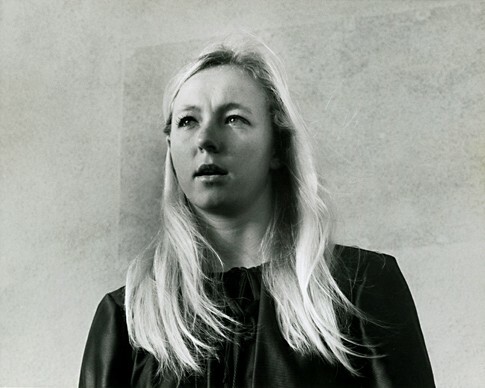 A 2001 interview quoted her saying, “I only know three things – how to surf, how to change a tire and how to golf. 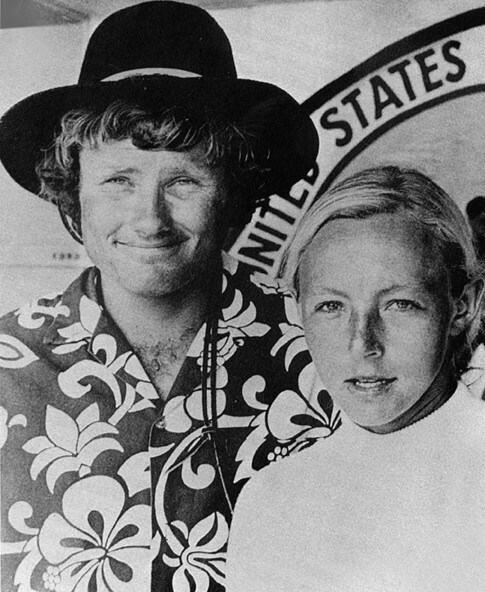 PHOTO: U.S. Men's Champion Corky Carroll and U.S. Women's Champion Sharron Weber, 1969. 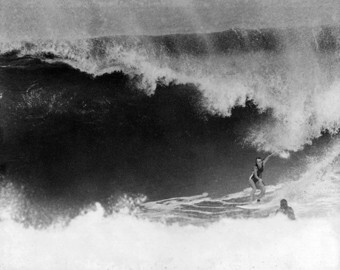 Photo courtesy Surfer Magazine. 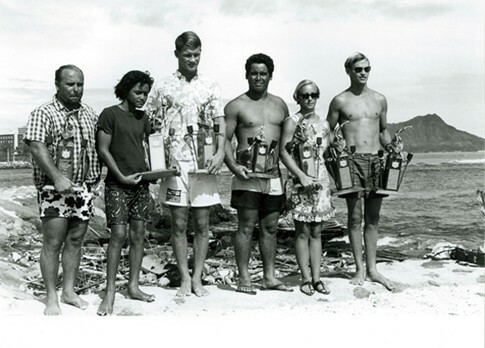 PHOTO: Ala Moana 1966: (L to R) Third from left, Randy Rarick, Jackie Everly, Sharron Weber and Jock Sutherland. PHOTO: Induction Day 2013. Photo courtesy Sharon Marshall. 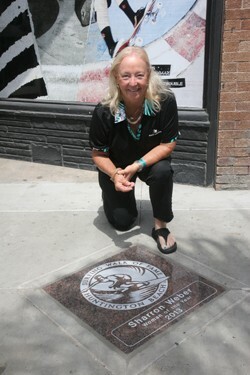 PHOTO: Sharron and induction stone. Photo courtesy Lew Harrison.